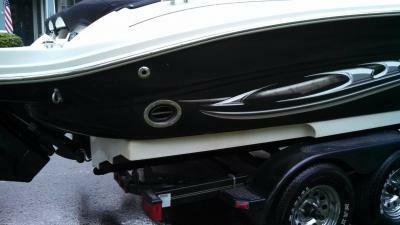 Boat detailing services are great for maintaining the condition and value of your watercraft. 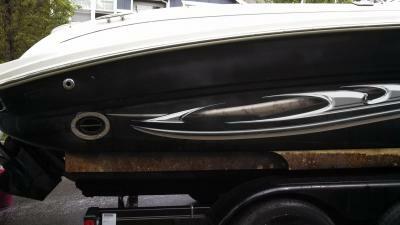 If your boat has lost it’s shine due to oxidation and age, it may be time to consider investing in boat detailing. 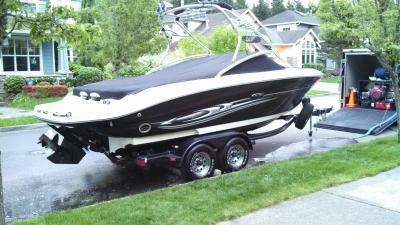 Western Power Wash & Detail offers mobile boat detailing services on land or water, at your location. 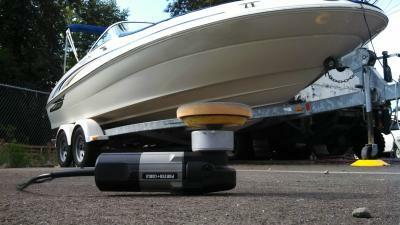 Services include complete boat washing, algae removal, fiberglass hull compounding / polishing, waxing, interior detailing, and more. Remarkable attention to detail paired with commercial quality equipment provide customers with outstanding results. 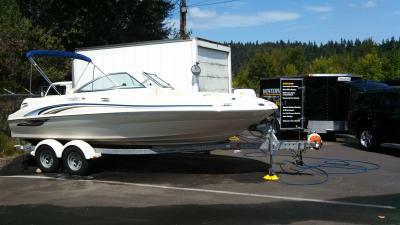 Western Power Wash & Detail is equipped with a 425 gallon water tank to accommodate boat detailing of any size vessel, in any location. 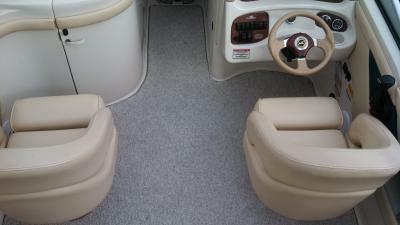 Hot water is used for boat washing, cleaning removable carpet and washing canvas boat covers, removing the hardest stains for a fresh look, smell, and feel. 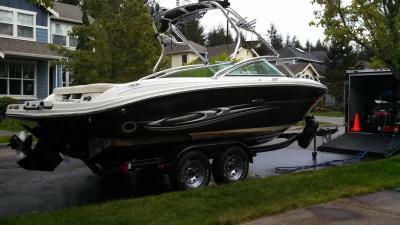 Western Power Wash & Detail brings it’s detailing shop to your home, storage facility, or moorage slip for complete boat detailing services. Visit Yelp to read about positive customer experiences.